Jean-Martin, his wife, and their two children live in the middle of a 1.5 acre micro-farm in Quebec, Canada. 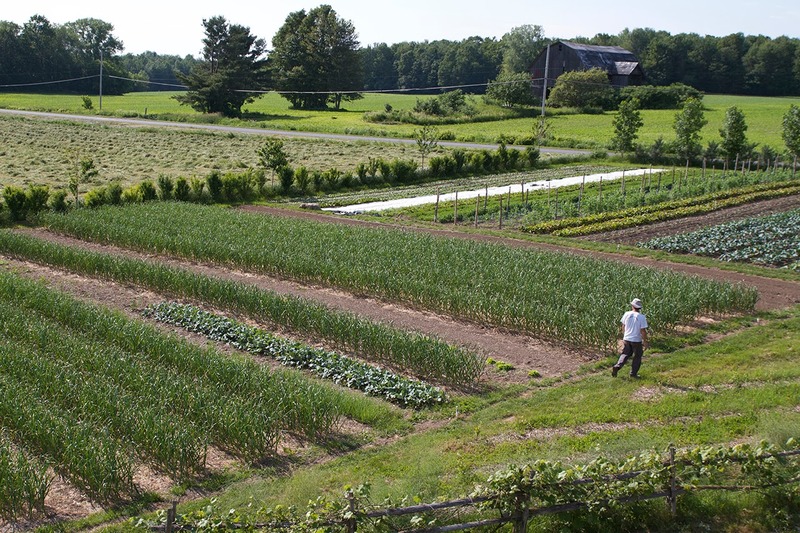 The farm consists of a greenhouse and ten gardens, containing a total of 180 permanent raised beds (each bed is 30” wide by 100’ long, with 18” walkways). The micro-farm, named Les jardines de La Grelinette (Grelinette is French for broadfork), has been in operation ten years. They have a CSA that supplies 140 families with produce for 21 weeks a year, and they sell at two farmer’s markets. Last year they sold $140,000 worth of produce. In This Podcast Jean-Martin makes it clear that they are selling at reasonable prices. And in his book he states that their profit margin is over 40%. In other words, Jean-Martin Fortier and his family are making a decent living as market gardeners on only 1.5 acres of land. Furthermore, they do not own a conventional tractor; the farm is maintained with a 2-wheel, walk-behind tractor and hand tools. Jean-Martin says that the farm is more efficient without a conventional tractor, wagons, bucket loaders, and etc. 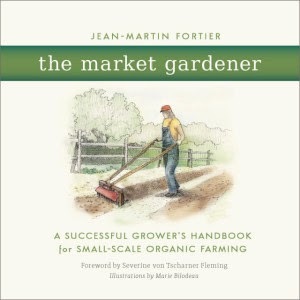 If you, or anyone you know, has any interest in making a living as a micro-farmer market gardener, you must read Jean-Martin’s, The Market Gardener. 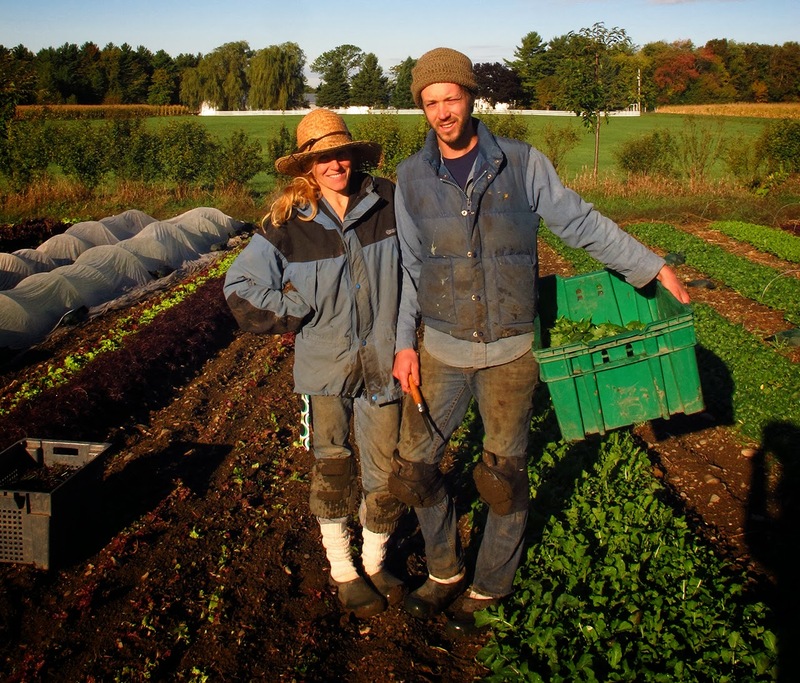 In the book, Jean-Martin shares what he has learned over the years, and how he now operates his micro-farm. The Market Gardener is loaded with valuable perspectives and ideas. To be an aspiring market gardener and not read this book would be, in my opinion, foolish. Even though I am only a home gardener, I loved the book because it presents a proven example of micro-farming success. It is an inspiring contribution to a hopeful vision for the future of community-based, family-centered sustainable agriculture, which happens to be something I have a big interest in. Besides that, I liked this book because I learned some techniques that I can (and will) apply to my home garden. I encourage you to go to The Market Gardener web site and check it out. You can watch an excellent YouTube book trailer. You can read the beginning pages and the first chapter of the book. And you can buy a copy directly from the author (which is always the best way to purchase a book). Excellent recommend. I shall check it out. I love to hear about farmers who are successful and I like it even more when they share about how they do it. Hi Herrick, just back from visiting his site and ordering the book. I am sure I will learn a lot more about small farm gardening then I think I now know! I wish I had known about all these folks you have introduced me too twenty years ago. Oh well , time marches on. Sitting here finishing up my seed list, most all of which I get from Johnny's Seed.Getting antsy to get out there an do something. I've often said to my wife that if Community Supported Agriculture, and Joel Salatin, and the whole agricultural internship movement we now have was around when I was in high school, there is not a doubt in my mind that I would have worked in that direction instead of becoming a carpenter. So things have changed a lot in 30 years and I guess all the changes in the world haven't been bad. At 44 I know my best physical years are behind me but I'm hoping I can do for my children what Joel Salatin's father did for him and all the knowledge I can obtain and put into action now will lay an awesome foundation for the generations to come. Ah yes, the multigenerational vision. We think alike. Unfortunately, my children are not "on board" to the degree I would like to see. But that is really beside the point. We just do what we know is best and right. And then there are the grandchildren that eventually come. You can lay the groundwork to be a powerful influence in the lives of any grandchildren too. That's where I am now. Thank you for sharing. We, too, are laying that multi-generational vision for our family. Some are on board, some not so much, but they sure all like to eat of the fruits of our labor. Casting a vision that is attractive is work and takes time! It's always encouraging to know that people like you are "out there," and, though we are a minority, I think there are a lot of us. Sounds like a good book and thanks! The small farm with CSA is something we are looking doing over the next few years. Thanks for passing this along. I placed an order for it this evening. Looks like a must have book for me. So glad to hear that this has been translated!!! Sounds like he took all the techniques and advice that Elliot Coleman wrote about in his excellent book of 20 plus years ago called The New Market Gardener. 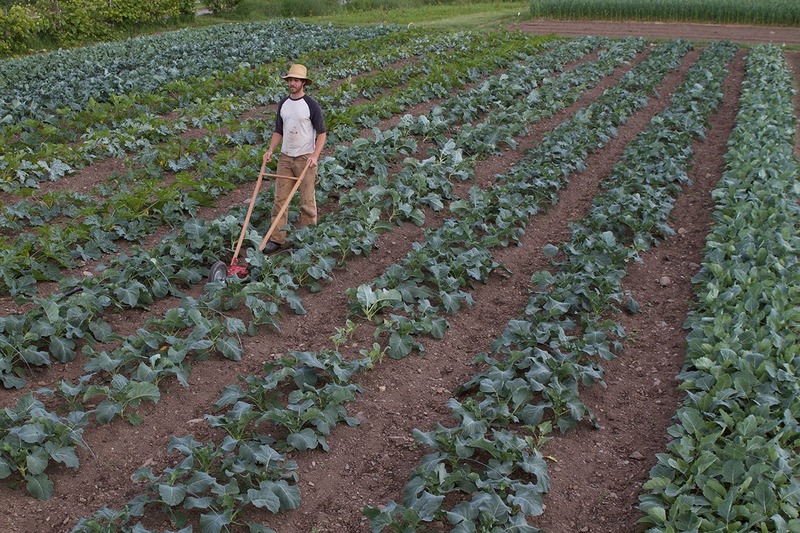 The Market Gardener book (and the podcast interview I linked to above) make it abundantly clear that Eliot Coleman's book played a big part in getting the farm started. However, "The Market Gardener" is not simply a repackaging of Coleman's book. Jean-Martin has developed his own techniques and provides other useful information. Actually, both books are a good investment for the aspiring market gardener, and Coleman has endorsed Jean-Martin's book. In rereading my previous comment it does come across that I was accusing Jean-Martin of repackaging someone elses material. Thanks for clearing that up. I just downloaded new The Market Gardener film. Featured 23:40 into the film is a Whizzbang Garden Cart. It looks just like mine - worn and well used, but good for at least another 10 years. Wow. That's neat. I'll check it out. Thank for letting me know.